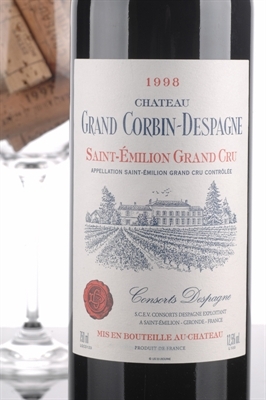 With a dense ruby/purple color, this closed yet promising, large-scaled, muscular 1998 offers earthy, black currant, and cherry aromas intertwined with scents of minerals and smoke. "With a dense ruby/purple color, this closed yet promising, large-scaled, muscular 1998 offers earthy, black currant, and cherry aromas intertwined with scents of minerals and smoke. Powerful, dense, thick, and tannic, it is an uncompromising vin de garde requiring 5-7 years of cellaring.